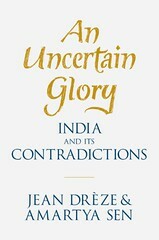 'An uncertain glory - India and its contradictions' is a book which analyses the decision-making process in India after economic reforms and the impact of those decisions. 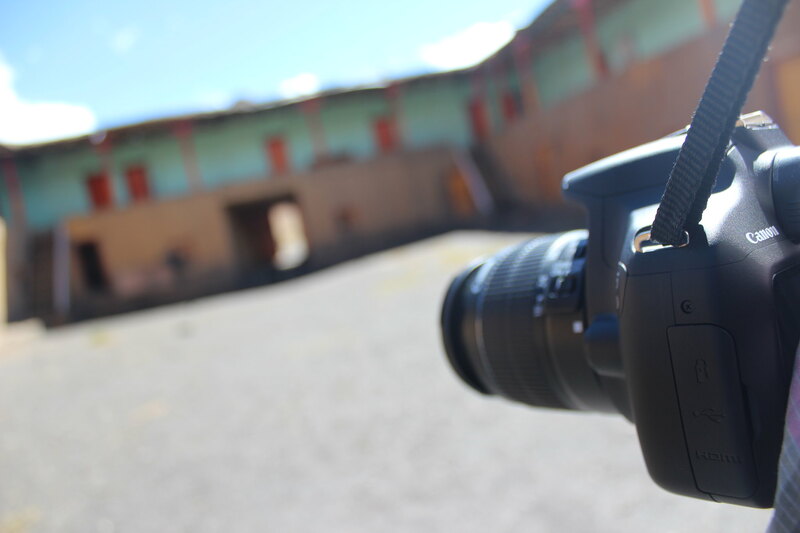 It also analyses the attention given to under-privileged population by media and discussion forums. According to the author, in the real democracy, opinion-forming bodies discuss the whole population, not just a sub-section. The authors, Amartya Sen – a distinguished economist and Nobel laureate – and Jean Drèze, an economist living in India for more than 30 years now, have argued for a more active role of governments. They also argue for using a greater part of the revenues, generated by the high rate of growth of the Indian economy in last two decades, for welfare expenditure. While advocating that, the authors have given the example of 'Asian economic giants' who did not have very good social indicators before their economic boom but caught up in an impressive way. The authors focus mostly on China and Bangladesh for most of the comparative statistics but other countries have also been mentioned. India's performance in most of the social indicators - such as those related to health, education, and poverty - has not been up to the expectation as was expected after seeing the experience of many other economies which 'opened up' in the later half of the twentieth century. Still, a large part of the country is not able to get the elementary education and many of the villages are situated too far from a school, a PHC or a PDS center (fair price shop). The authors bring out the neglect in the schemes with social benefits and even if schemes were initiated, they were implemented in a very inefficient manner. 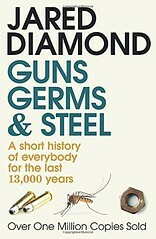 One thing that stands out throughout the book is the advocacy of government as the provider of the amenities such as education, public health and curative health care (in contrast to public health care which is preventive in nature). The authors also advocate for a proactive role of government and ask private players to act as supplements, not as primary players. To support this public policy position, they give the example of many countries of Asia which started growing in last few decades but have succeeded in providing these amenities quite satisfactorily. The authors also state that most of the Europe and the US attained the high ranking in these parameters because of clear government interventions. While one may agree with the authors in many arguments given the 'public goods' nature of these amenities, the experience of India has not been good as far as implementation of government welfare schemes is concerned. Because of the rampant corruption, leakage, and bureaucratic inefficiency, schemes have not benefitted the intended public as might have been expected from them. With no clear solution to this malaise, any new scheme is bound to succeed only partially, if it succeeds at all. The authors focus on the public discourse in India and the neglect therein of under-privileged groups. According to the authors, the word ‘aam aadmi’ - meaning common man - has become synonymous with a section of the middle class which is a small fraction of the entire population but is very much represented in the media. Any attempt to curtail subsidies given to this group are met with wide protests and governments back down easily. According to the authors, socially and economically deprived sections of society are yet to be vociferous in their demands and when that happens, then only accountability can be ensured in our democracy. The authors also speak against too much focus given to the absolute rate of growth of the economy. While growth is good for an economy as it generates avenues of the employment, brings many people out of poverty and generates revenues which can be spent on public goods, it should not be seen as an end in itself, but as means to achieve greater social equality. Before reading this book, I read the book "India's Tryst with Destiny" by Bhagwati and Panagariya and ideological differences between these two books is quite apparent. Bhagwati and Panagariya advocate a free-market based libertarian approach with a greater role of private players given the failure of governments at various levels to provide the basic amenities, whereas Sen and Dreze argue for a government led modern liberal approach given the public goods nature of basic amenities. Which approach will work cannot be said until we try one and see the results. Both these approaches have been successful in few countries. It may not be possible to try both approaches and see which one works because of the non-reversible nature of such policy decisions. This book is a passionate analysis of what economic achievements India is lacking despite being entitled to them because of the consistently high rate of growth. 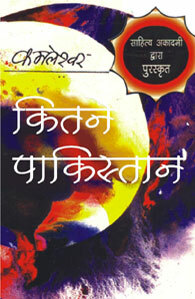 क्या? फिर कहीं जली है क्या कोई किताब? We went close to the Spiti River. 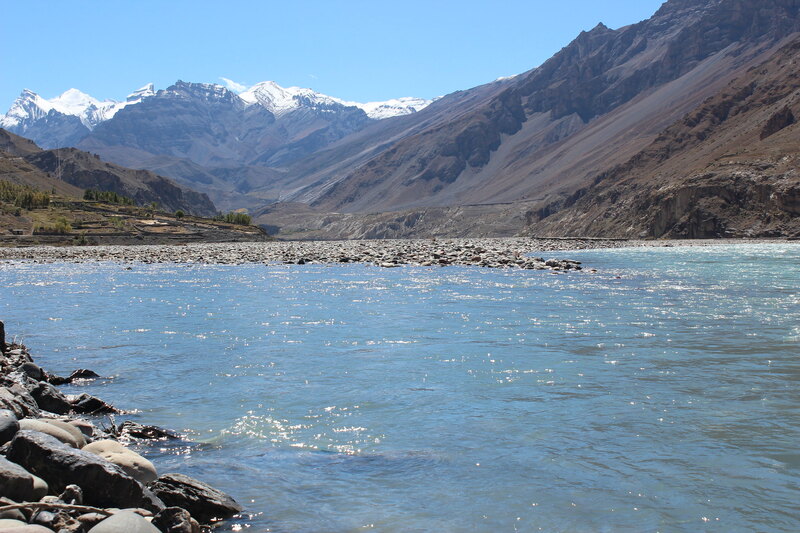 Spiti River originates near Kunzum Pass and flows in the southeast direction before it meets Sutlej River. The dark color water flows over the pebbles peacefully. 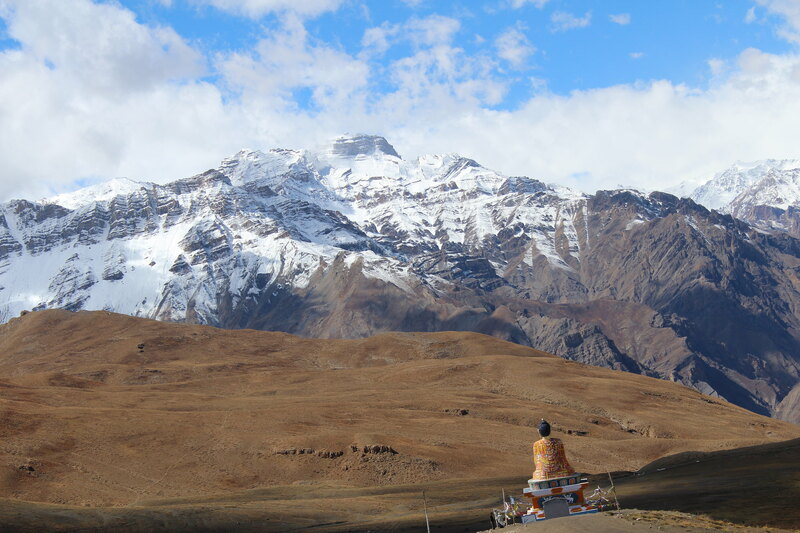 This tranquility is a characteristic of the Spiti valley and its deep relationship with Buddhism. As there is not much rainfall in the Spiti Valley, the river gets most of its water from the Himalayan glaciers and many streams join it. Pin river is one of the most significant ones to join it. We had read somewhere that Pin Valley National Park also provides beautiful views but we could not go there. Pin Valley starts near the Dhankar Gompa in Spiti Valley. 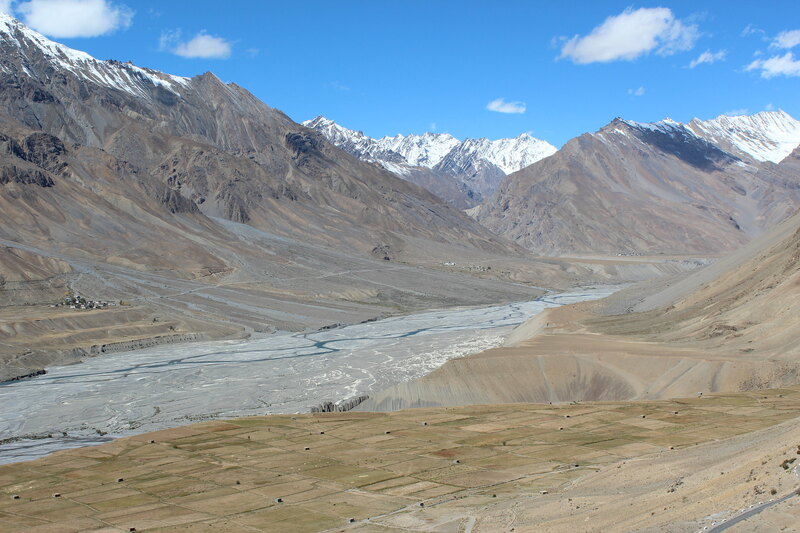 Spiti River occupies only a small portion of the bottom of the valley. The similar pebbles near the course of the river suggest that either the water level of the river increases as some point of the year or the river has changed its course. Normally in India, September is one of the months when rivers carry a huge amount of water because of the monsoons. 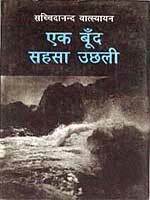 The same cannot be said about Spiti River. Unlike Kye Gompa, Tangyurd Gompa, and Dhankar Gompa which are situated at cliffs, Tabo monastery is at the bottom of the valley. Tabo monastery was built in 996 AD and that makes it the oldest in India. A few years back it celebrated its thousandth anniversary which was attended by the Dalai Lama. Inside the monastery, we were allowed only to visit the main temple. There was a big buddha statue and the temple was naturally lit. We were told that there were old wall-paintings in Tabo monastery, of which we could only see glimpses in the temples. There were stupas built inside the monastery. 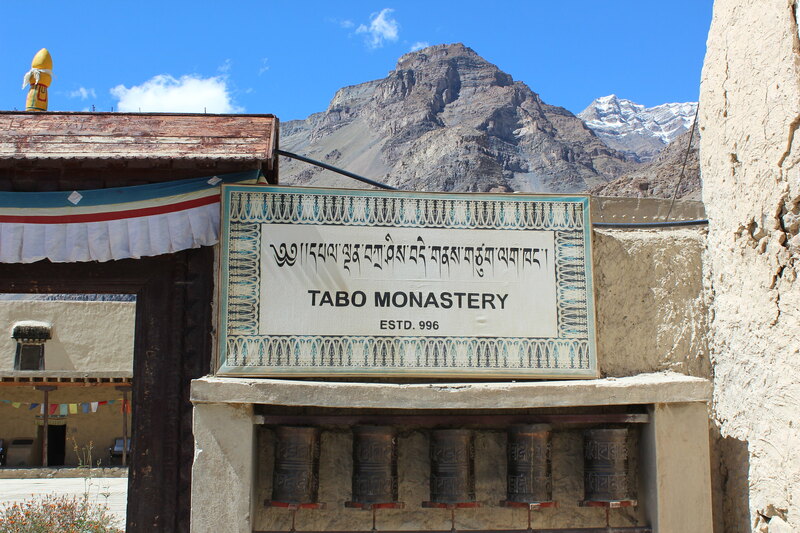 Like Dhankar monastery, Tabo monastery also belongs to Gelugpa sect. Due to its very old wall-paintings and manuscripts, it is also called the Ajanta of Himalayas. Tibetan Buddhism is the religion of this part of the India and also of the Ladakh, Sikkim, Tibet and parts of Nepal. The sixth century onwards, the rulers of Tibet showed interest in Buddhism for various reasons including their marriage to Buddhist princesses. Then a tantric Padmasambhava from India arrived in Tibet and preached Buddhism in Tibet. Later on, folk elements were assimilated in Tibetan Buddhism. Tibetan Buddhism is different from the Buddhism practiced in other parts of the world like Sri Lanka and South-East Asia. Buddhism spread in these areas much earlier and is based on the early interpretation of Pali Canons. Tibetan Buddhism was inspired from Indian Buddhism which in turn borrows few elements from Hinduism like multi-armed statues of deities. Tibetan Buddhism believes in the reincarnation of Dalai Lama. Keeping up the spirit of trying new things in the trip, we tried Thukpa in Tabo. Thukpa is a noodle soup with its origin in Tibet. Apart from the noodle, it contained tomato, capsicum, and few other ingredients. In Tabo, there are only a few places to eat. Someone told us to go to a home where they provide some food items. It was a small house. The Dhaba was operated by the family only and not many people were dining there. We did not find too many tourists in Tabo. We might have been there in the off-season or Tabo is still not that popular destination. Few houses in Tabo had apple gardens. Tabo was the last destination of our trip. The road from Kaza to Tabo goes to Nako also which is very close to India-China border and then continues to Shimla as part of the Hindustan Tibet Road. It was time to return to Manali. When I look back and remember the days spent in Spiti Valley, it brings a joy and satisfaction. I do not know how to summarize the trip in a paragraph and I would not dare to. Probably my remembering-self has remembered too many things. I do not know what to say about my experiencing-self because whatever bliss it achieved was left there in the Spiti Valley. Those high barren mountains; those long and narrow roads and paths on pebbles; those peaceful and crystal clear streams; those villagers and their hospitality; those Gompas and learned lamas; those high-altitude lakes and reflection of mountains in them; those deep valleys with layer after layer of its sides telling the history of tectonic activities; those strong winds making their mark on the mountains; everything is etched in my memory like all of this happened only a few days back. When one comes to the Himalayas, a part of oneself is forever indebted to nature. And in that moment of gratitude, I promised to return to the Himalayas, again and again. 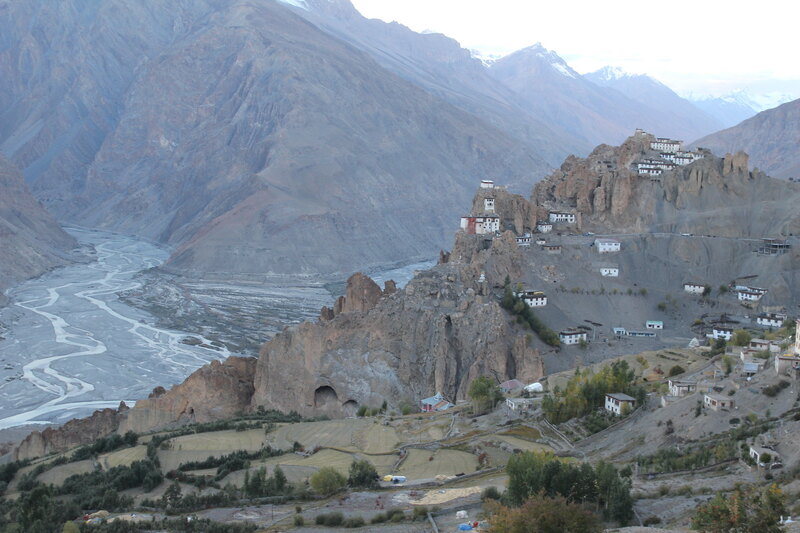 In the local language of Spiti Valley, Gompa means a monastery. Dhankar Gompa is also an old monastery like others in the region. Belonging to Gelugpa sect, it probably dates back to 12th century. 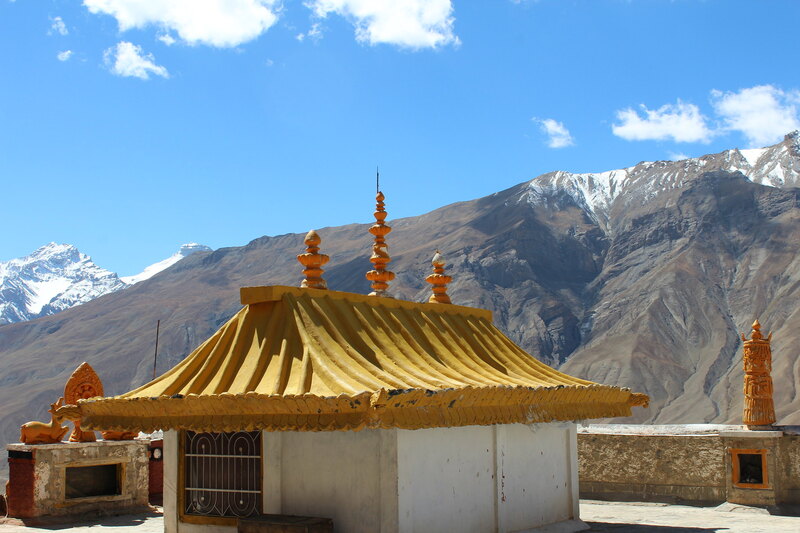 25 kilometers from Kaza, towards the road to Tabo, there was a diversion for Dhankar Gompa. 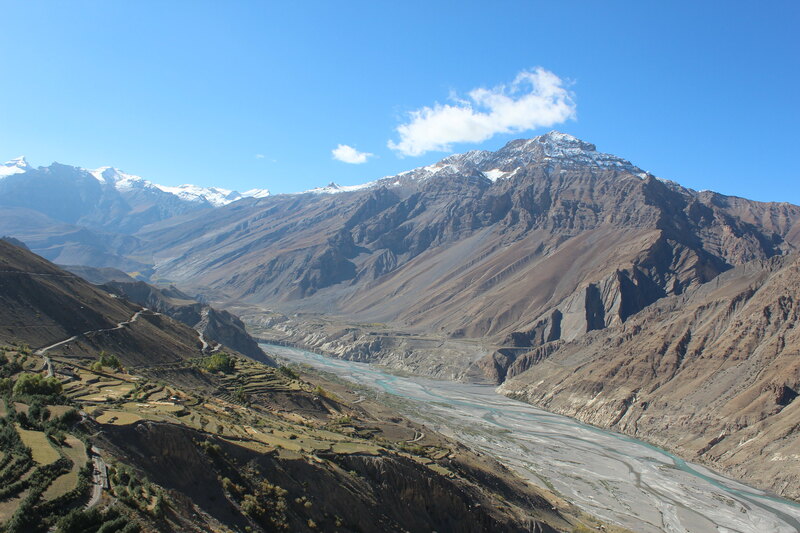 It was situated on a cliff overlooking the confluence of the Spiti and Pin rivers. 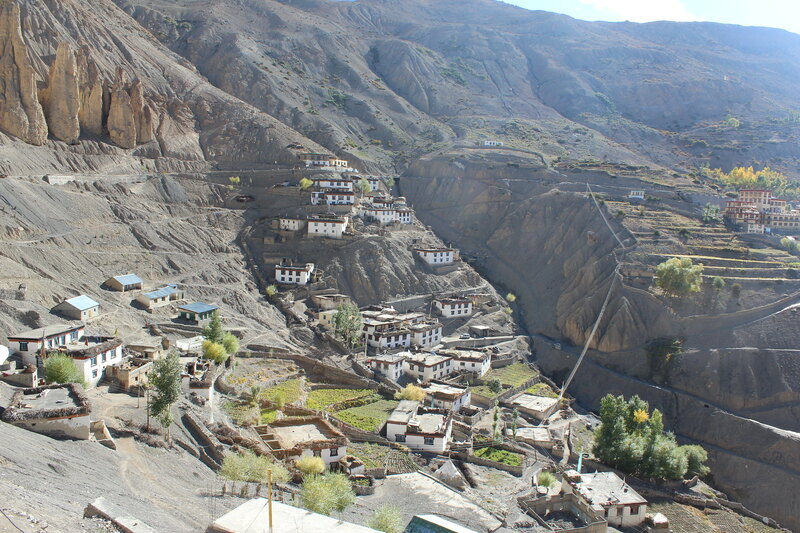 Few hundred meters below the Gompa, there was Dhankar village. In the Dhankar village, there was the same pattern of white houses with step farms in between. In the local language, Dhankar means a fort on a cliff. 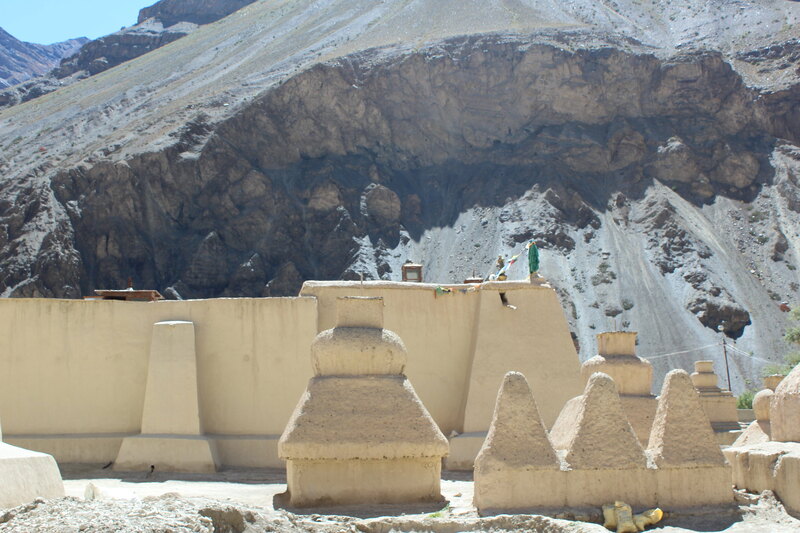 Near Dhankar Gompa, there were other structures too like a fort. Do not compare it with the usual forts that you have seen. Built on the cliffs with a small area at the top, forts in the Spiti Valley are bound to be small. It would have been very difficult to transport materials for building a big fort at such height and so far-removed from traditional population centers. Also, the number of persons that these forts had to host was small. Once upon a time, the Spiti kingdom was ruled from Dhankar. 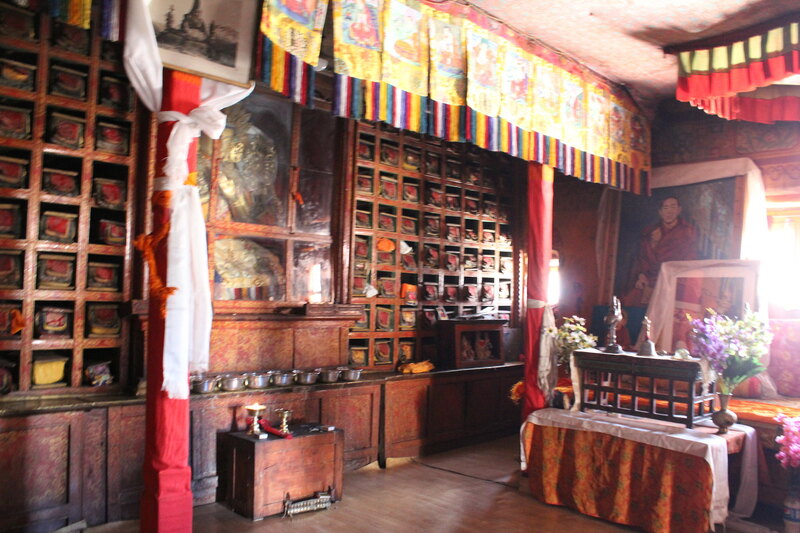 Inside the Gompa, near the entrance, there was a chamber of protecting deity. 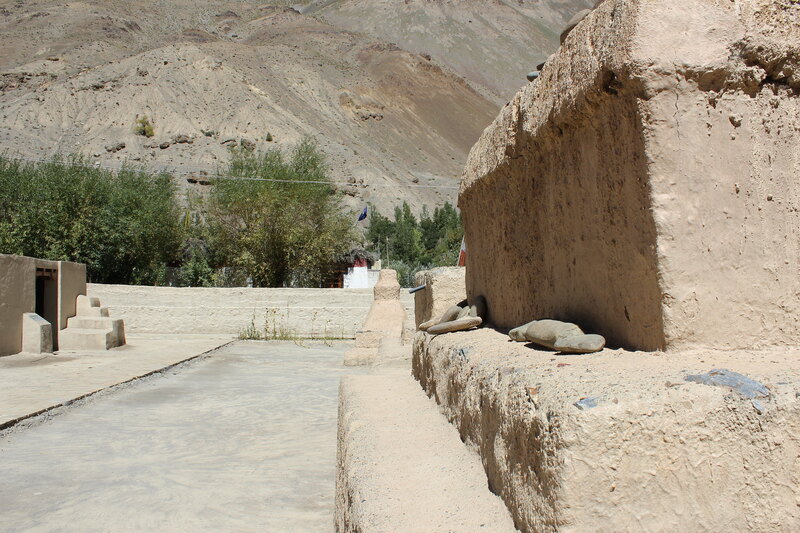 Supported on the pillars from inside, Dhankar Gompa also houses a small museum. There is a lake near Dhankar village. It is a high-altitude lake named after the village. The way to Dhankar lake starts near the guest house. We decided to trek. The trek was, by no means, easy. Although, it was not too long and was not too steep, but at the heights above 4000 meters ,if one has not become used to thin air, then such treks are difficult. The water of the lake was very clear - so clear that you can see the reflection of hills on the opposite side. Half of the lake was shadowed by the hills and that shadow was increasing. Sunset was approaching. There was a small Pagoda-like structure near the lake and the beautiful colorful prayer flags around that. The pattern of thorny bushes near the lake was interesting. If you would see the barren land you would say no vegetation is possible here but then you would see these bushes artistically sprinkled here and there. Returning from the lake, the lunar-shaped village of Dhankar and the Gompa were seen in the background of the confluence of Spiti and Pin rivers. This scene was the nature’s imagination at its best. It looked like the picture coming straight from the artist's canvas. In the valley below two rivers met and decided to continue their journey together peacefully forever. In the valley above, men met the religion in search of the peace. Men came to the abode of enlightened Lamas to be guided in their spiritual journey and the fire of knowledge was kindled in their souls. Men came to the Gompa, dwarfed by the high mountains and unable to move out for months in snowy winter. Men climbed the cliff to recite a verse in the worship of Avalokiteśvara. When men met religion in its true sense, it was like men met nature. The peace was established in these unapproachable mountains. That peace and tranquility are what attract the travelers today. There is this thing about sunrise and sunset in the Himalayas. Because of high mountains on both sides of the valley, it is very difficult to see the sun rising. When you can actually see the sun, till then it is already a bright day. So a sunrise does not have the feeling of light fighting the darkness or slow spread of the light in all directions. I remember being awake in Rishikesh, Uttarakhand once to see the sunrise but when we had the first glimpse of sun, the day had already begun. The beautiful thing about sunrise in the Himalayas is the reflection of sunlight on snow-clad mountains which is reddish in color. This we had witnessed in Kaza and a few years back in Ukhimath, Uttarakhand. 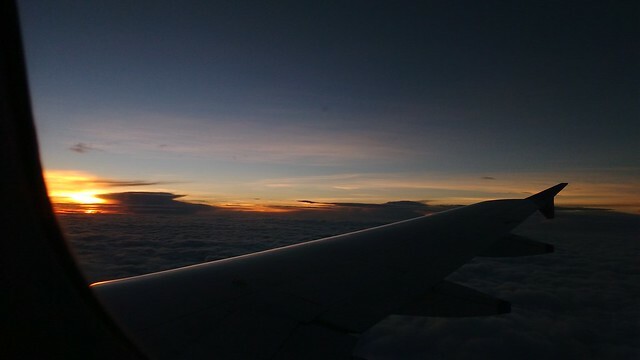 Like the sunrise, sunset also is different from the sunset that one is used to seeing. The sun hides behind mountains well before the first shadow of darkness creeps in. 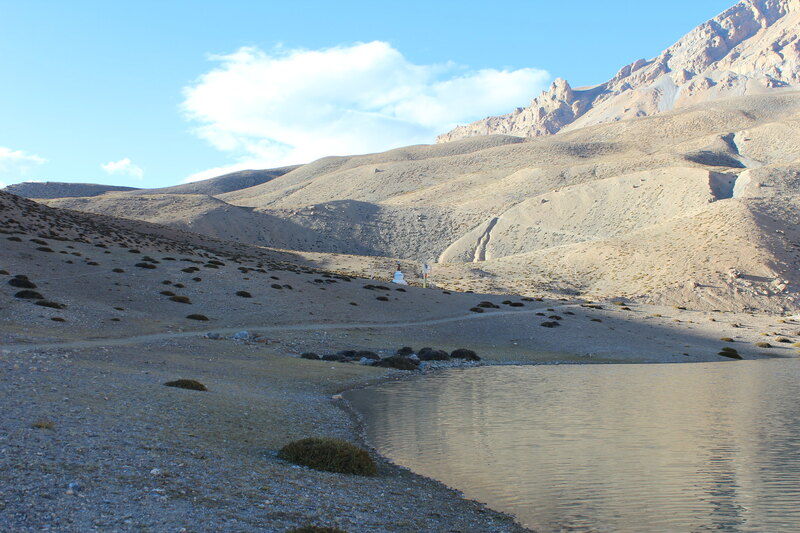 By the time we reached Dhankar Lake, a portion was covered by the shadow of mountains. This shadow only became larger. One starts to feel the chill. After sunset, the strong and cold winds take over. While going to Tabo from Dhankar Village we saw few flex boards outside the fences surrounding trees. Seeing such tall trees was a surprise in itself. The location of Spiti Valley is such that the Monsoonal clouds do not cause rain here. The Harsh climate and small population mean a large area remains without any vegetation cover. Throughout our journey in the Spiti Valley, we did not see any place where you see grasses, bushes, or trees as you normally see elsewhere in the Himalayas. Those flex boards had details about the Desert Development Schemes of the government. Later when I searched about this, I got to know that governments are spending crores of rupees for this scheme. It creates a green cover and provides employment to the local people. In the second part of this series of travelogues on Spiti valley, I said that I will talk more about remembering and experiencing. Normally, we do not separate these two aspects. In his book Thinking Fast and Slow, Daniel Kahneman talks about two selves - experiencing-self and remembering-self. Experiencing-self lives in the moment and remembering-self keeps those moments in the memory. That is what we cherish after a long time. What Kahneman says is that we focus more on remembering than on experiencing. 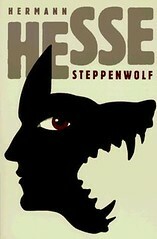 To prove the point he says that we are blind towards the time-integral of happiness or sadness caused by a stimulus. Say, you are moderately happy or sad for a year in one condition. In the second condition, you are extremely happy or sad for a month. It is more probable that five years hence, you will remember the second condition. We humans are too prone to peaks in happiness or sadness. This is the background for the discussion that I intend to take up in this part of the series. If we are to remember only peaks of happiness or sadness why do we want to live a well-settled life which does not contain surprises? The things which we normally call surprises are expected surprises - a contradictory term but yes, that is true. 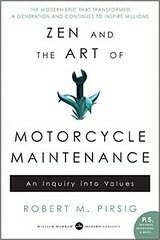 Where should we invest more time and resources - in remembering or in experiencing the moments? While visiting few villages near Kaza, this struggle between my two selves got worse. When you see those mountains, villages in a valley and a small road disappearing under a hill you become awestruck at once. There is a feeling of being mesmerized. After few days you do not remember all those experiences exactly. You only remember that there was something which was very beautiful but when you try to remember what was it exactly, you are left to find words and memories, searching for those moments. Here comes the question again - if we cannot remember those feelings, should we stop on hill trail and think about the surroundings? People prefer the remembering-self and that might be the reason behind why tourists as soon as reach a place, start clicking pictures without even seeing the place fully. There is a feeling to capture all those moments into some sort of mechanism where it can be taken out of the memory black-hole again, and again. Pictures are one such mechanism. 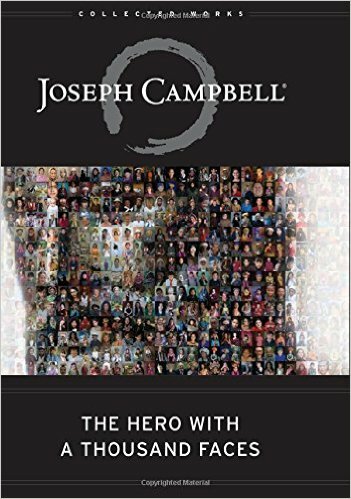 I have assumed that people prefer the remembering-self. At least that is what see around on a trip. That would be a generalization. I leave it up to you to decide on your next trip whether you feed your experiencing-self or remembering-self. 13 kilometers from Kaza, there is a small village - Langza. With a population of around 130, this village is first that one encounters while coming from Kaza. There are two parts of the village - Lower and Upper Langza. 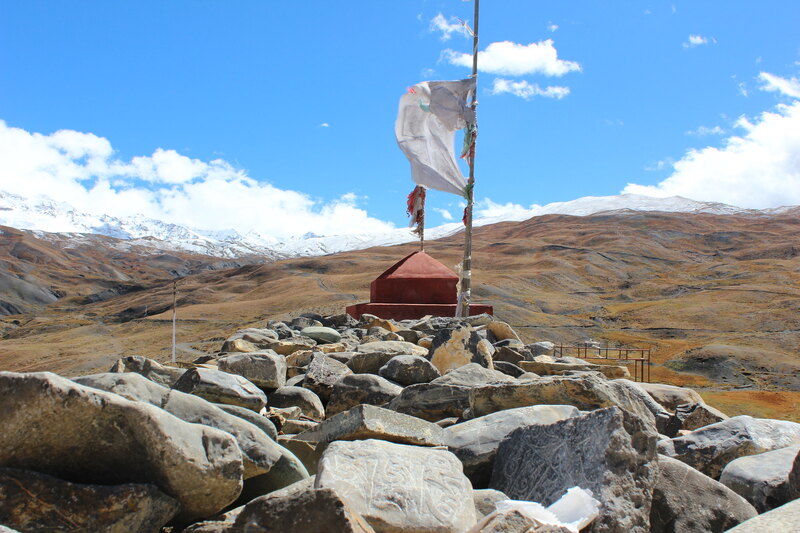 Lower Langza is near the fields and is few meters below the road from where you see the village. The Upper langza was closer to the big statue of Buddha. In this village and most of the other that we passed by while coming to Kaza, the outer decoration pattern of the houses would remain same. The houses will be painted white. That white color is somewhat worn out maybe because of six months of snowfall or maybe it was painted a few years ago. At the point where the walls met the roof, there would be a strip painted gold or brown. When you see from a distance a row of similar houses, you can wonder about their coherence to a tradition. The Buddha statue was considered to be hundreds of year old by the villagers. The location of the statue was good. It was placed there overlooking the village, then farms, then roads and then the tall mountains of Spiti village. On the internet, I found that Langza village is famous for marine fossils which are found in abundance here. I did know this when I was in the village. Few kids brought something to sell near our vehicle. We thought that these were small craft items and gave it a pass. With the benefit of hindsight, I think they might have been the fossils. Next, we went to the Koumik village. It was one of the highest inhabited villages in the world. Few claim it to be the highest one but that is disputed. The village is situated at the edge of a deep canyon. There were few farms and few houses in this village. While roaming around in this village, we met a person who has invited us inside his house for the tea. We were also curious to see the house from inside. The house had all the provisions for long snowy winters such as a small fireplace in the drawing room and thick mud walls. Most of the villagers had gone to bring back the yaks from the other side of the hill. 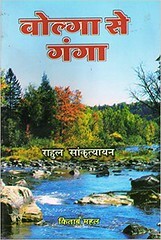 Our host was studying in Shimla and was there in his native village for few days. He said he would leave before the snowfall starts. I remember one more interesting thing about him. Whenever we would ask him how much time will it take to walk to a hill, he would say, for example, that one hour for him and three hours for us. That was true but we found it interesting that he already took account of our difficulties at high altitude. We enjoyed his hospitality. It does not happen that frequently in India when few strangers are allowed in one's house. Tangyud Monastery is situated in Koumik village. 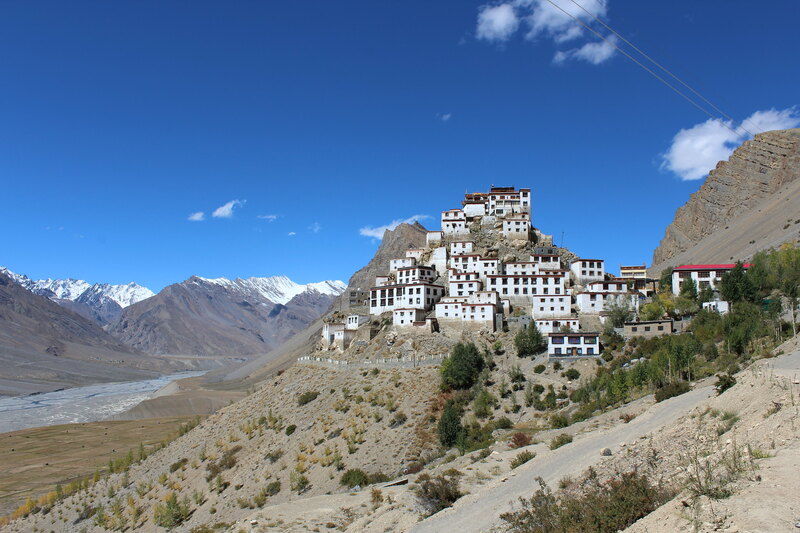 Along with the monastery at Kaza, it is one of the few monasteries of the Sakya sect left in Spiti valley. Like other monasteries in the region at Key and Dhankar, Tangyud Monastery is also a fortified structure, suggesting that in ancient times there were attacks on monasteries or that religious head was also the ruler of the country. Tangyud Monastery is made up of mud walls and boundary is in a rectangular shape. Inside the monastery, you find all those colorful objects which we saw in other monasteries in Spiti. Built in the 14th century, it is one of the highest monasteries in India. The last village that we visited was Hikkim. 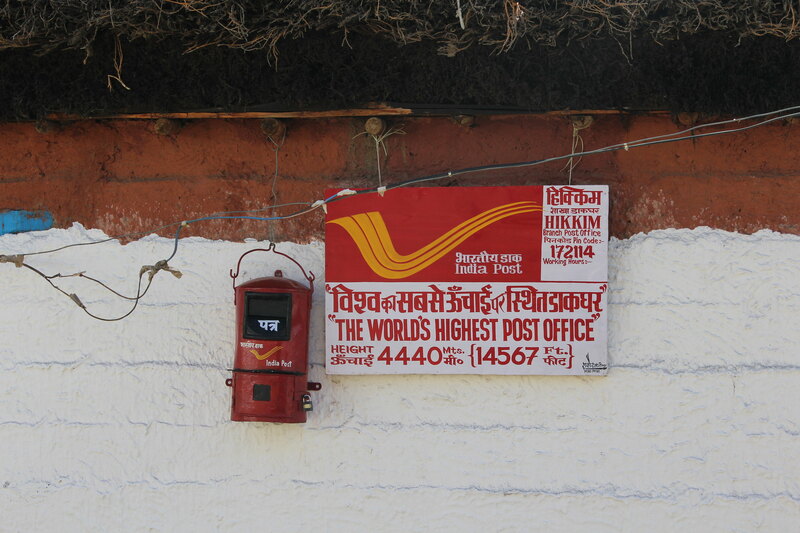 Hikkim village contains the highest post office in the world. That post office is manned by an old employee of the postal department. There were many colorful cards with images of the places in Spiti. He was enthusiastic enough in showing us those cards, but it was difficult for him to find a plain postcard - a relic of the gone era. I thought that I will add a new ritual to my trips - to send a postcard from that place. I started that from Hikkim. That post card never reached home. I tried again from Pondicherry. Even that did not reach home. I thought that it is now outdated to send a postcard. Even the postal department might think that a person is not serious enough in communicating something if he is sending a one-rupee postcard. Hikkim village is also the world's highest polling station. पहले से तय एक भूमिका निभा देने के लिए ही है बस? कभी खुद तय करके किसी धारा में बह पायेगी वह? "तुमने फिर से मुझमें अपनी छवि खोज ली न ?"